okay, who doesn’t love breakfast or brunch? there’s probably no better meal for me and I could eat breakfast foods all day long. also, there’s nothing better for me than going out for breakfast so if you are in Berlin or planning on coming, hit me up and we will go for breakfast together and obviously take the cutest pictures for Instagram. 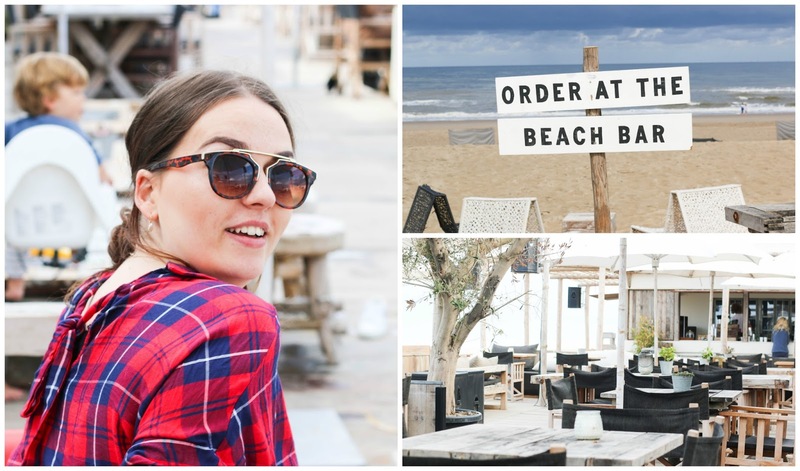 when I was on holiday in Noordwijk we stayed right by the beach and I fell totally in love with the beach club life. just the cutest and most Pinterest and boho style beach bars and restaurants and one also served breakfast so my sister and I had to go. 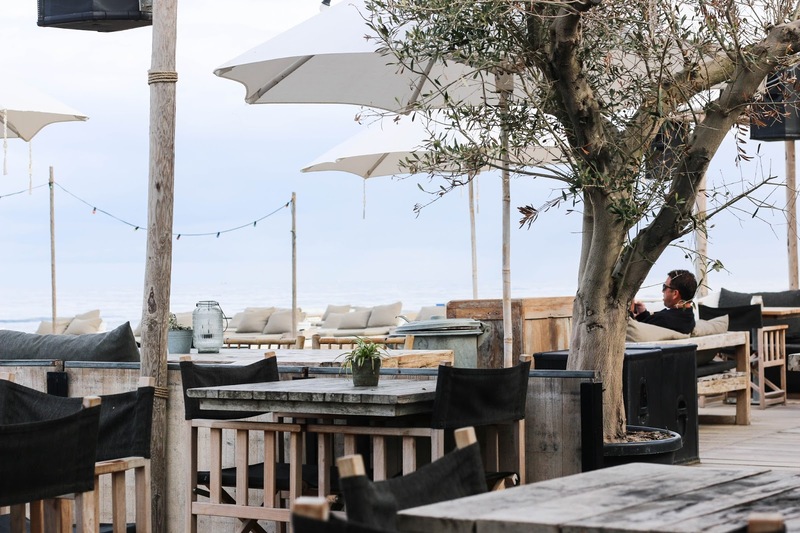 nestled between the dunes and right at the white sandy beach is branding beach club in Noordwijk and I actually would love to go for breakfast there every single day. 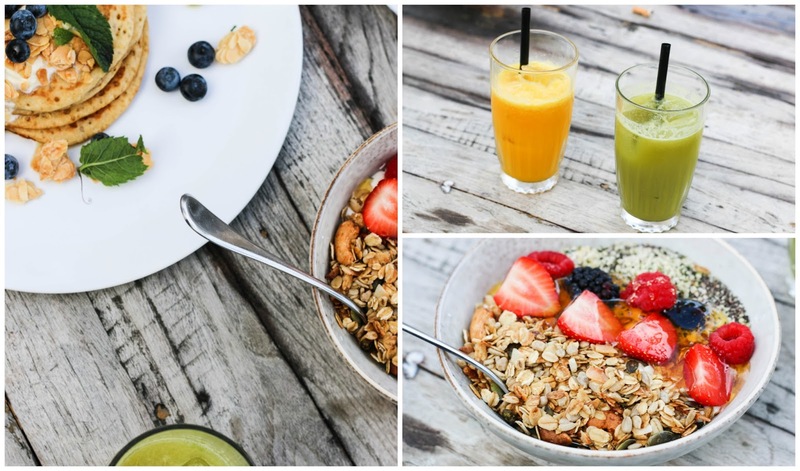 because I loved it so much I decided to dedicate a whole blog post and if you ever make it to Noordwijk, hit up branding beach club. since it was a warm morning we went for a sofa outside so we could enjoy the view of the ocean and listen to waves as well as the music they have always playing. it kinda makes it more relaxed for me and it’s not too loud, just a bit of background noise. the beach club itself was filled with some ladies having breakfast together, parents with their kids and also some who got work done and the whole atmosphere was just chilled. the breakfast menu itself is was compact, just what I like. a few avocado and egg dishes, pancakes and a yoghurt and fruit bowl which is what I opted for. they also do fresh juices and all kinds of coffee and tea. one breakfast dish and a juice if offered for 10€. a great deal if you ask me. for my yoghurt bowl, they offered me a plant based or Greek yoghurt and either honey or maple syrup which makes it a great vegan option. I went for the plant based yoghurt but honey. it comes with mixed berries and home made granola. my sister went for the pancakes and we both a juice too. 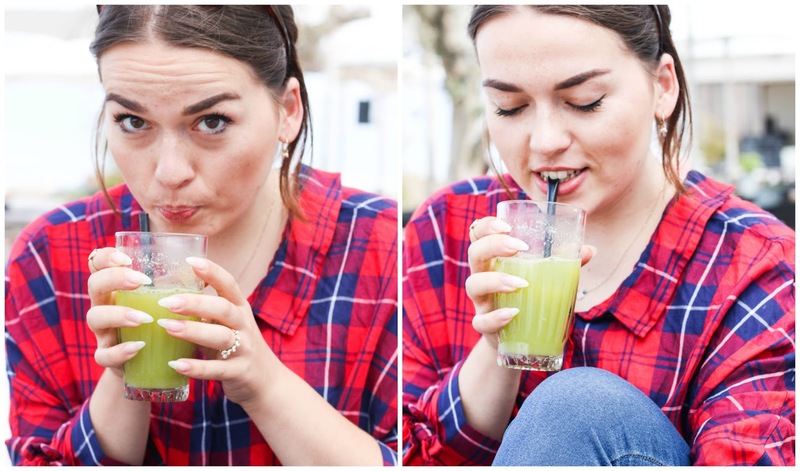 I went for a green detox juice and she went for a fresh orange juice. the food itself was super fresh and so good. i don’t think i ever had a granola this nice and it was just the right portion size. the pancakes were amazing too and i’m quite a skilled pancake maker and so is my dad but they were so fluffy and yummy and not too sweet. it also was just lovely to sit right by the beach whilst enjoying a very yummy breakfast. 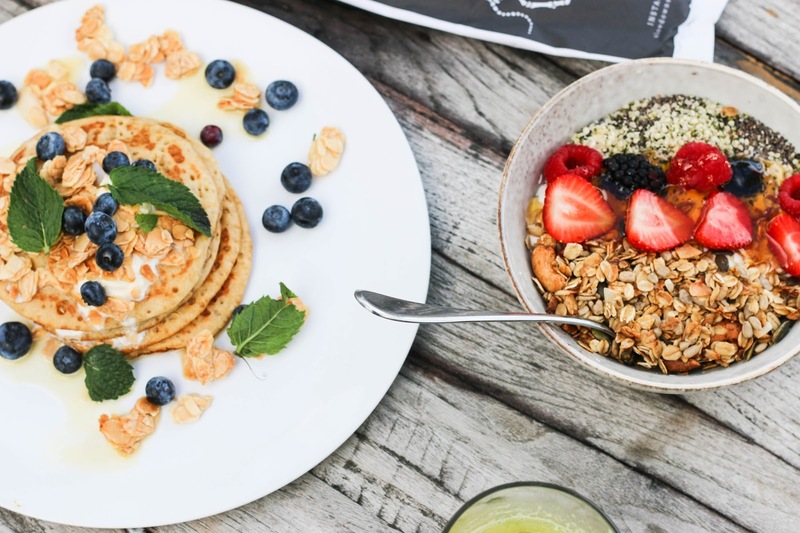 it’s actually a place that does just the perfect breakfast food as it just looks and tastes so nice but it’s also a chilled vibe and I would actually love to take my laptop there to do some work and have a yoghurt bowl once again. so as I said, I would highly recommend branding beach club for breakfast and I would go there again any day. 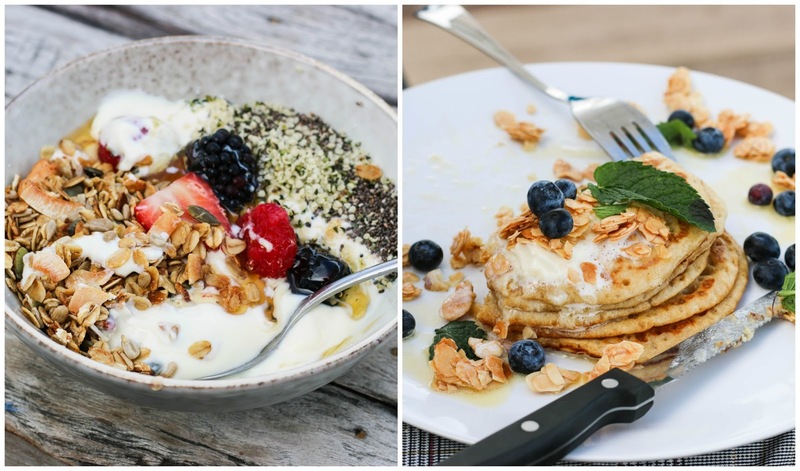 what your favourite breakfast spot?